Let’s take a look at the network devices commonly found in today’s LANs..
Today, hubs are considered obsolete and switches are commonly used instead. Hubs have numerous disadvantages. They are not aware of the traffic that passes through them. They create only one large collision domain. A hub typically operates in half duplex. There is also a security issue with hubs since the traffic is forwarded to all ports (except the source port), which makes it possible to capture all traffic on a network with a network sniffer! Hubs are sometimes called multiport repeaters. Like hubs, a switch is used to connect multiple hosts together, but it has many advantages over a hub. Switch is an OSI Layer 2 device, which means that it can inspect received traffic and make forwarding decisions. Each port on a switch is a separate collision domain and can run in a full duplex mode (photo credit: Wikipedia). Host A is trying to communicate with Host B and sends a packet. A packet arrives at the switch, which looks at the destination MAC address. The switch then searches that address in its MAC address table. If the MAC address is found, the switch then forwards the packet only to the port that connected to the frame’s destination. If the MAC address is not found, the switch will flood the frame out all other ports. To learn which MAC address is associated with which port, switches examine the source MAC addresses of the receiving packet and store that MAC addresses in their MAC address table. What is a MAC address table? A MAC address table lists which MAC address is connected to which port. 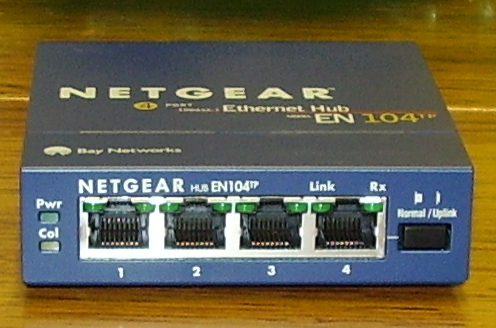 It is used by switches to make forwarding decisions. The table is populated by examining the source MAC address of the incoming packet. If the source MAC address of a packet is not present in the table, the switch adds an entry to it’s MAC address table. A router is a device that routes packets from one network to another. A router is most commonly an OSI Layer 3 device. Routers divide broadcast domains and have traffic filtering capabilities. 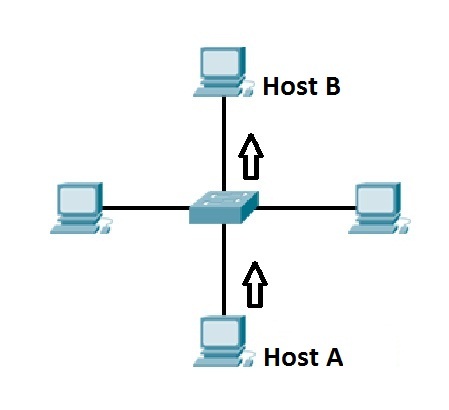 Host A and host B are on different networks. If host A wants to communicate with host B, it will have to send a packet to the router. 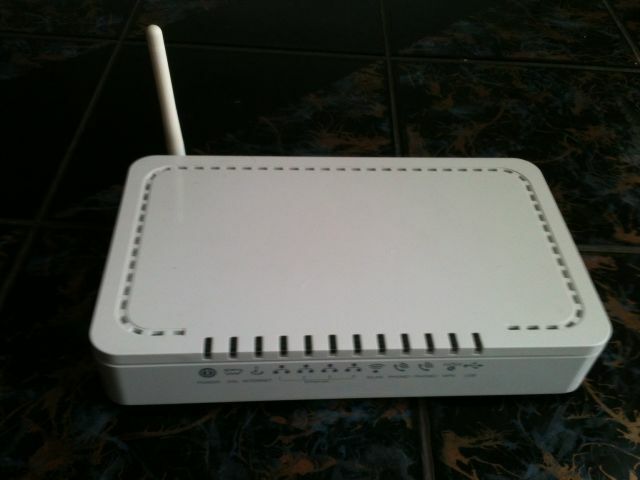 The router receives the packet and checks the destination IP address. If the destination IP address is in the routing table, the router will forward the packet out the interface associated with that network. A routing table lists a route for every network that a router can reach. It can be statically configured (using IOS commands) or dynamically learned (using a routing protocol). It is used by routers when deciding where to forward packets. C means that the route is a directly connected route. The network in question is 10.0.0.0/8, and the router will forward each packet destined for that network out interface FastEthernet0/1. In Windows, you can use the netstat -r command to display the routing table of your system.